When you’re not working directly in an industry, it’s hard to keep up-to-date with new developments, especially today when the world seems to constantly change. If you’re finding yourself limited to your past experiences of roofing, or traditional perceptions, it’s time to learn about the exciting new technologies and materials available on the market. In particular, did you know that Metrotile’s product can be used for commercial buildings? In this blog, we’re talking about the Kowhai Court project, which used Metrotile’s CF Shake roofing. A new roof can lift the appearance and value of a whole building. In the case of the Kowhai Court, the shopping complex was iconic in Whangarei. For historic, locally famous or otherwise iconic buildings, the brief generally requires changes that preserve the style or intent of the building. To find the best value solution for the Kowhai Court, the commercial building went through a careful tender process. One of our leading distributors in the Far North, Telfer Roofing, completed the re-roofing. First, the old shingles were removed, then they installed our latest product, the CF Shake in Charcoal. 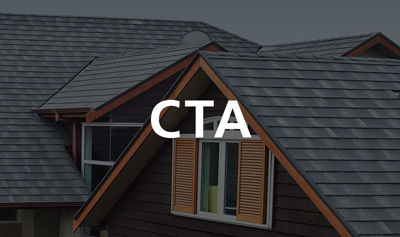 To read about our first New Zealand CF Shingle re-roof project, click here. Jonathon Telfer, who owns and runs Telfer Roofing with his wife Janine, says he is very pleased with the Kowhai Court roofing installation. “With the latest CF Shake profile and its accessories, our team finished this big shopping complex, which is around 900 sq/m roof over a period of 2.5 weeks,” Tefler explained about the process. At Telfer Roofing, it’s all about the quality of the service. Specifically, it's important they deliver a fast fix solution to minimise the downtime for their customers. Why use CF Shake for this project? Metrotile’s CF Shake has been specifically designed to resemble the rustic charm of traditional Shake but without the inherent ongoing issues that many homeowners face with older models. 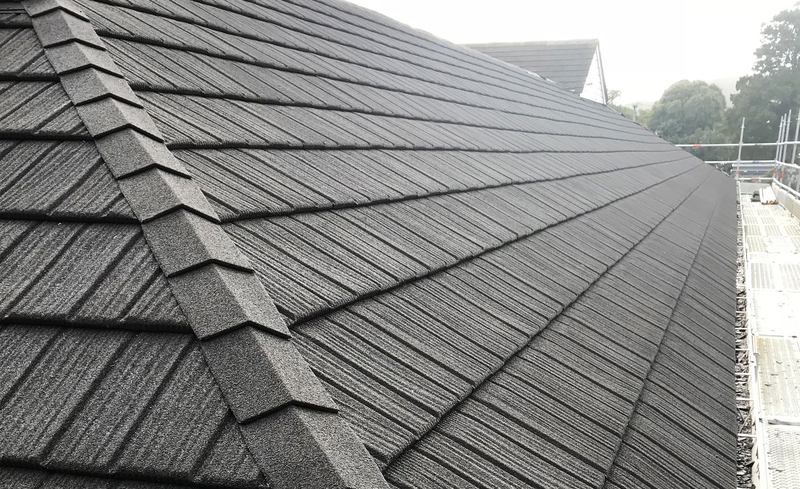 The modern alternatives like Metrotile’s CF Shake have been specially designed to resemble an older Shake roof, keeping all of the natural appeal and doing away with the issues. CF Shake is one of Metrotile’s Concealed Fastening family: these products use innovative interlocking technology and full sealed fixings, protecting the components from the weather. Modern technologies and materials make it possible to install attractive, durable and cost-effective roofs to buildings, whether they’re homes or big commercial builds. 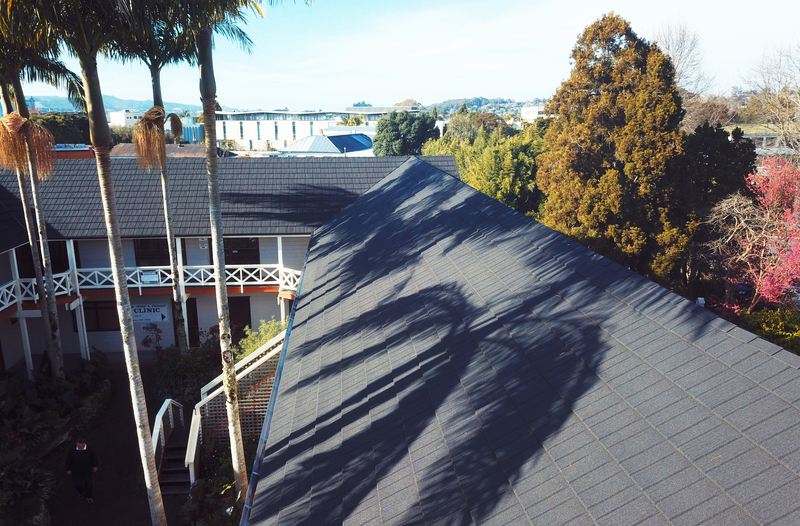 The Telfer Roofing installation of Metrotile’s CF Shake roof on the Kowhai Court building in Whangarei was one of those big projects - and the result is fantastic. To take a look at our range of CF Shake options, here. 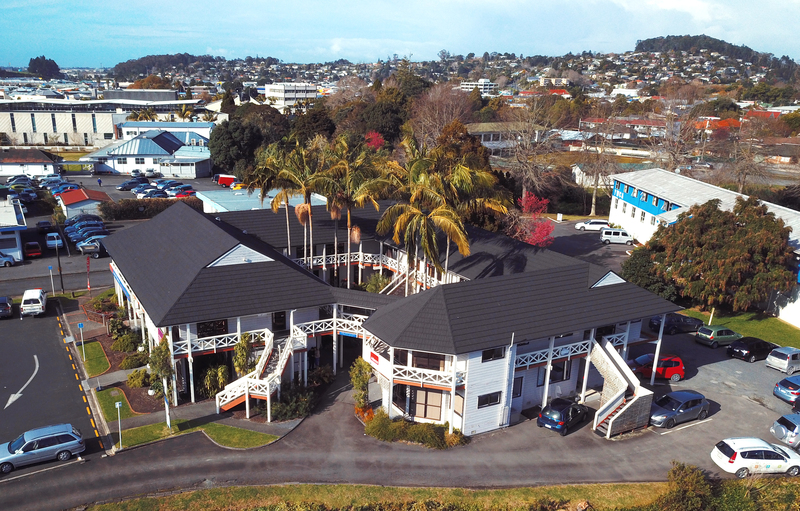 For an aerial view of the Kowhai Court, click here.